Set in an art-filled 19th-century mansion in Midtown, award-winning Stonehurst Place is one of the most luxurious Atlanta boutique hotels. Midtown is a historic Atlanta neighborhood and bustling business district that features countless attractions just minutes away from our inn. 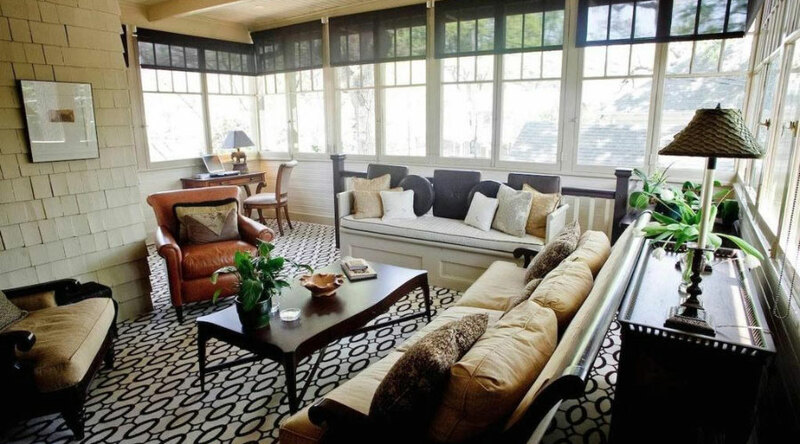 Our Midtown Atlanta bed and breakfast is a unique combination of impeccable preservation and modern amenities. Beautiful original details are combined with up-to-date features to give you the best hotel experience in Midtown Atlanta. Stonehurst Place’s six rooms and suites have a modern and chic flair that you won’t find at other Midtown Atlanta hotels. Our inn’s style is balanced by elegant decoration and walls filled with museum quality art. You’ll feel like royalty in our fully-equipped rooms complete with luxurious bathrooms, comfortable furnishings and a gourmet breakfast each morning of your stay. 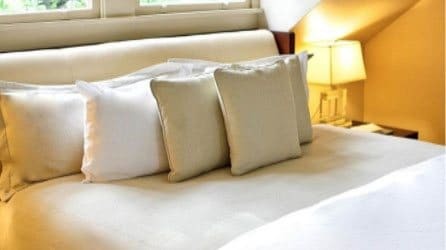 Newlyweds will particularly enjoy our Atlanta honeymoon suites to celebrate your recent nuptials in the lap of luxury. Spend a night in lavish sophistication with beautiful mahogany furniture, gallery-quality art, marble bathrooms, luxurious toiletries, and plenty of 21st-century technology. Each suite is unique, and all reflect our love of quiet comfort and understated elegance. Stonehurst Place is also the perfect place to say “I do” if you’ve been looking for a wedding destination. Our Atlanta boutique hotel provides a beautiful location for both indoor and outdoor wedding ceremonies and receptions. Whether you’re looking to elope in Atlanta or invite all your family and friends, we can customize your dream wedding at our inn through our all-inclusive wedding packages. 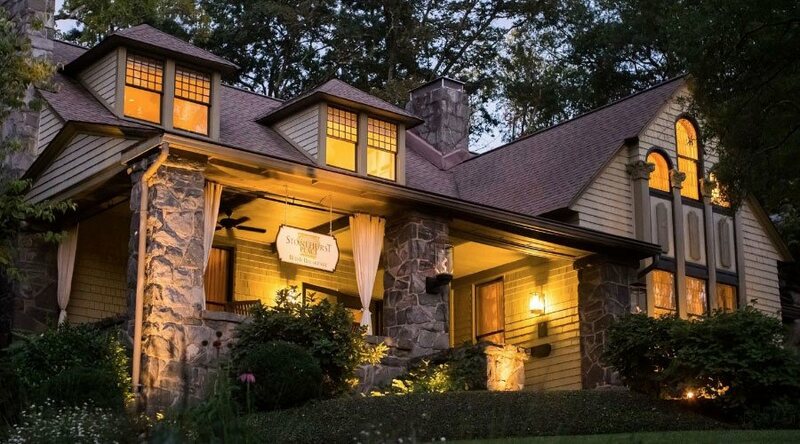 With beautifully landscaped grounds and a relaxing sleeping porch, our Midtown Atlanta bed and breakfast is the perfect place to stay for your romantic getaway. Stonehurst Place is also located near popular things to do in Midtown Atlanta. Talk a walk through the gorgeous Piedmont Park, see a show at the Fox Theatre, see marine life at the Georgia Aquarium, or attend one of Atlanta’s many festivals and events.